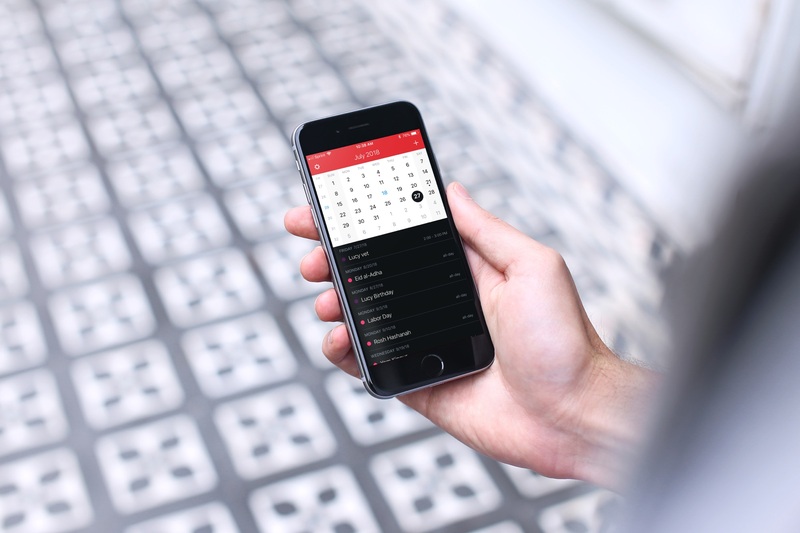 If you’ve gone beyond your iPhone’s default Calendar app and purchased Fantastical 2, then you already know the host of features that this app provides. But, have you taken the time to sit down and really customize it? Getting your calendar exactly as you want it is worth the time. 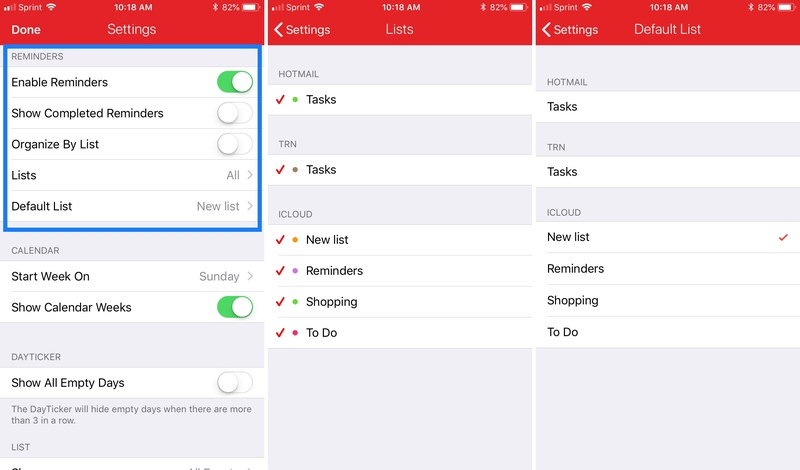 So, here’s your Fantastical 2 tutorial for customizing the app on your iPhone. First, open the app on your iPhone and then tap the Settings icon from the top left. Once you land on the Settings screen, you’ll see it’s divided into several sections beginning with basic settings. You can see how many calendars you have connected to Fantastical and adjust those by tapping Calendars. 1) Go through your list and check or uncheck the calendars you want to see or add a new one. 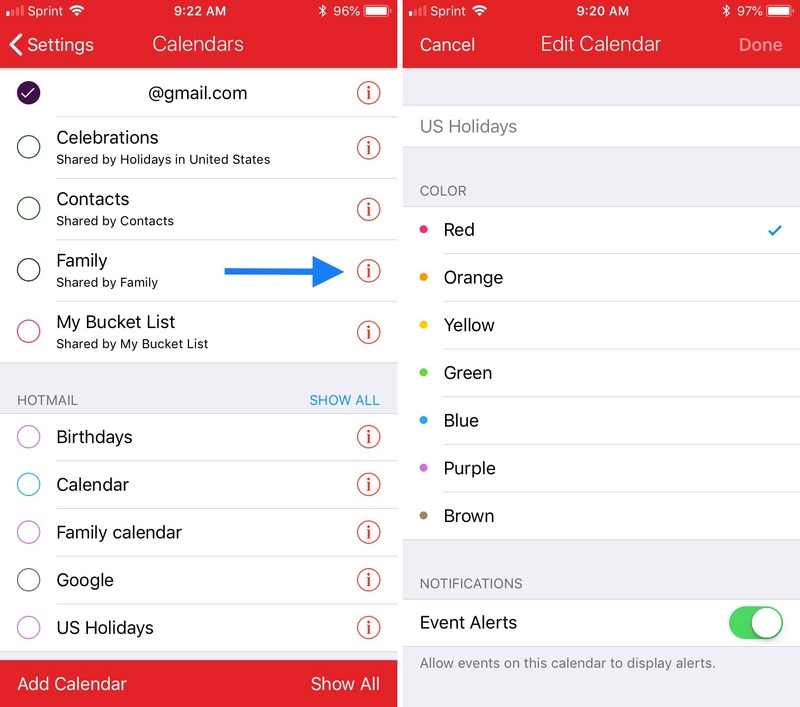 2) Select colors for the calendars you want to display by tapping the red icon on the right. 3) While on the color selection screen, scroll down and enable or disable the Event Alerts slider for Notifications. Note that not all calendars in your list will have this option. 4) When you finish, tap Done and then Settings at the top to head back to the Settings screen. Next, you can choose what to display on the app icon on your home screen. You can select from five options including None, Today’s Remaining Events, Current Date, Current Calendar Week, or New Event Invitations. If you use the widget in your Notification Center, you can enable or disable options to display your Timeline, Calendar, and Events. Tap Widget and make your selections. 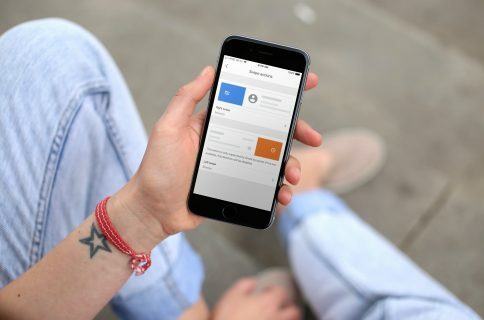 Apple Watch wearers can use Fantastical 2 on their wrist. 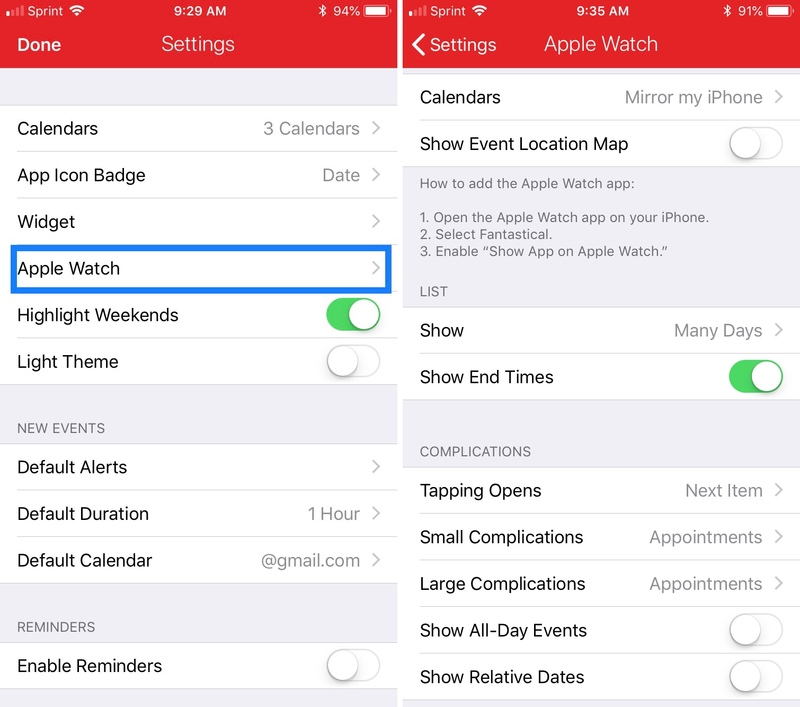 Tap Apple Watch and then customize your calendars, event location map, list, and complications to your liking. The last two basic settings are self-explanatory. You can enable or disable Highlight Weekends and Light Theme to whatever you prefer. Decide how to handle new events in your calendar next. Select times to be notified of both Timed Events and All-Day Events. Timed Events default to 15 minutes before the start time. But, you can add another alert for from at the time of the event to one hour before to one month before. Add as many alerts as you like and remove those you don’t want by tapping the X on the right of the time. For All-Day Events, tap to select the alert time from the options given. 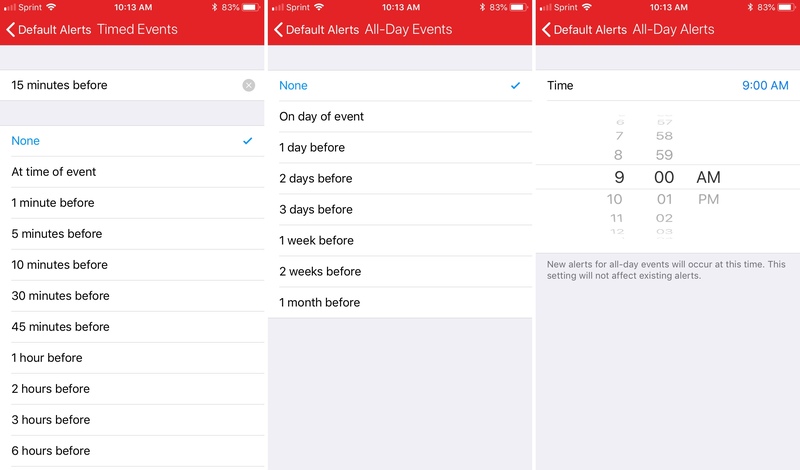 For the All-Day Alert Time, choose the hour of the day you want to be notified each time you have an all-day event. These two simple settings let you pick the default duration for events you create and the default calendar from those you have connected. If you enable the Reminders option by moving the slider, you will see your customization choices. 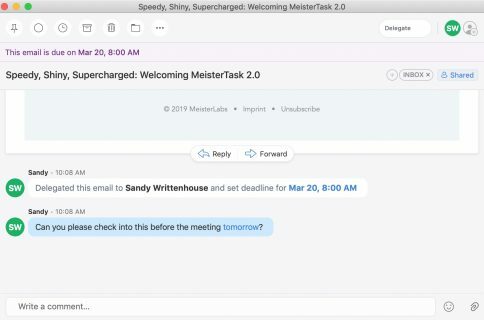 Enable or disable Show Completed Reminders and Organize By List. Then, select which lists the reminders should apply to along with your default list. The next three sections are simple ones, starting with the Calendar settings. Choose which day you prefer to Start Week On and whether or not you want to Show Calendar Weeks. If you want to hide empty days when there are three or more in a row, enable the Show All Empty Days option under DayTicker. Finally, choose your setting for Show under Lists from All Events, Selected Day Only, or Selected Day & Next Day. And then, enable the slider if you want to Show End Times for events. The last section you can customize is the Advanced settings. Enable or disable the sliders for Show Event Location Map, Show Numeric Keyboard, and Go To Today After Adding Items. 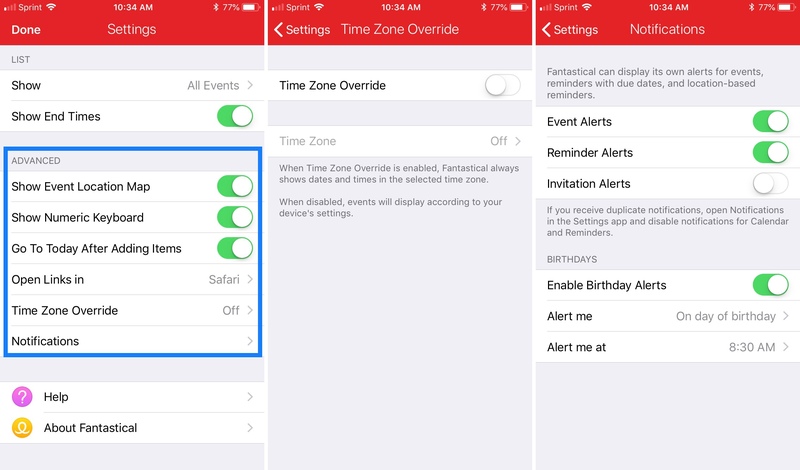 You can then decide which app to Open Links in and enable or disable the Time Zone Override. The Time Zone Override feature is for showing dates and times in the selected time zone that you choose. Otherwise, dates and times with coincide with your device settings. Next, you can customize Fantastical Notifications. Enable or disable Event Alerts, Reminder Alerts, Invitation Alerts, and Birthday Alerts. For birthdays, you can choose when to receive ]the notifications. After you finish customizing these settings, tap Done on the top left. You will then be taken back to your main Fantastical calendar view and all changes you made will apply. A calendar is one of those things that you definitely want your way. 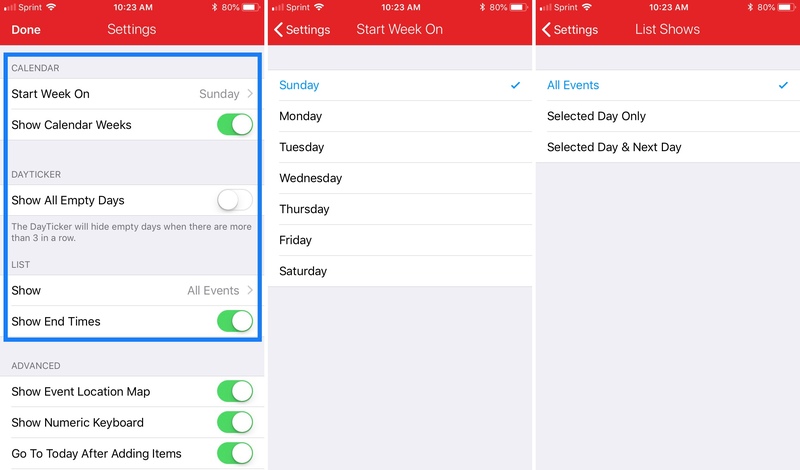 And, Fantastical 2 lets you decide just how you want to view your calendar, set up events, receive reminders, use on your Apple Watch, and more. Are you a Fantastical fan and are planning to use some of these great customizations?